Just in your opinion, do you think blastoise or milotic is the better water type? I'd say Milotic, but that's just me. Blastoise is good too, but it depends on the situation. OMG.....thank you guys sooooooooooooooooooooooooooooooooooooooooooooooooooooooooooooooooooooooooo much for what you helped me on! it saved me alot of time and money catching a Geodude! i owe you guys my life! i probally wouldnt have figured that out in a year if u guys hadnt helped me! THANX SO MUCH!!!! I have a question about the National Dex glitch. So in Ruby/Sapphire, if you get to Oldale Town (or any town with a PC), they say that if you trade with a Firered/Leafgreen that has the Ruby and the Sapphire in Celio's machine, you can get the National Dex immediantly. But I'm afraid about this: Will it affect the data for R/S and FR/LG? no It won't affect the games. Thank god. The reason why I asked that is because I'm getting a Ruby Version Game Pak for Christmas so I can use it to hook up with my GameCube to get Johto Pokémon from Colossuem and XD. You see, I don't want to risk losing my save data on my Sapphire Version. So I'll trade the Pokémon over. 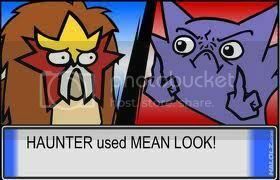 once a friend of mine traded a mew to my emerald before I got the national dex It did nothing to my game. Hi I was wondering who is the pokemon name changer in emerald ? I'm pretty sure the Name Rater is in Slateport City. Will a Pokemon holding Exp. Share, not participating in battle, gain double EVs if it has PokeRus? The guide on the site said that Pokemon holding Exp. Share only gains the base EVs, which wouldn't include PokeRus, but I'm not entirely sure if I interpreted it right. I think it does, yep. If it doesn't, I've been doing something wrong. It won't do anything to have the Pokemon that's doing the battling hold a Macho Brace, though, right? 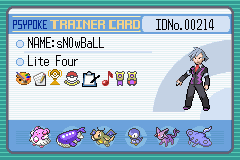 And another question: if I'm doing a quick run through Sapphire, what are some good Pokemon to pick up along the way? Stuff with low experience curves and stuff that would be useful against the gyms. I'm not trying to do it as fast as possible, but I'm just trying to grab some spare TMs/items. My starter is Treecko and so far I have Poocheyena and Lotad. I'll answer your other question later, but lotad is good. i needs teh helps again.....i needs teh helps on the flying gym...i have a solrock and a slugma but i can barely get past Skarmory and nevar get past teh Alteria....plese help......FIND MEH A GOOD POHKEHMAHN!!! I can't remember her exact pokemon, but I used a swampert. Teach it surf for skarm and ice beam for the rest. Raichu works too. Sorry if I'm off a bit. You CAN get pikachu in rse that early I think. What's your current team? Actually you can't get Pikachu until you beat Winona. Vileplume134, post your current team in the rating center. I can help you from there. Can I trade a to Emerald? If you have the National Pokedex in FireRed/LeafGreen you can trade it. Beat the Elite 4, have 60 pokemon caught on the PokeDex, and talk to Professor Oak. After helping Celio just trade to R/S/E from there. 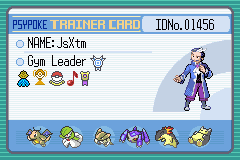 In addition to what DarkMegaMan said (which works just fine for trading to RS), to trade to Emerald you also need to get the National Dex in Emerald, which I believe means you need to beat the Elite Four. I accidently sold my sea incense and now i want another one. can i get an ew one? This might have been asked and answered a million times before, but I'm not going to look through all these pages to find out, so here goes: That old man in the Battle Frontier who tells you the pokemon's abilities - does he actually reveal DVs/IVs (whatever it's called in this generation)? If he says it's of average ability, does it mean it's a weak guy that shouldn't be paid any attention to, while if it's quite impressive in ability, should I start levelling it up? does anyone know some good choices for the battle factory if they become available?